There are several simple ways to detect whether the web browser is IE or not? This is the third article in a series of articles about SQL Server transaction log. In this article, we will have a look at log record details. 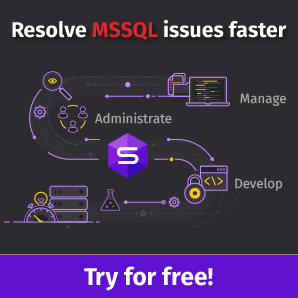 Best FREE SQL Server Tools for Database Developers and Administrators! This article provides a comprehensive list of the best SQL Server FREE tools for database developers and administrators! You can download the following tools and use it in your commercial projects!